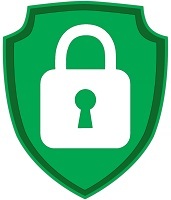 We use rigorous encryption and security measures to protect your sensitive data. And we never share your information with third parties. All data is encrypted in transit. The SSL3 and TLS 1.0 cryptographic protocols are generated using 2048-bit private keys. All systems are protected by multiple firewalls, which block all traffic except that which is necessary for site operations. By using the Authorize.net payment gateway, your credit card information is protected. When you process your transaction online, CitizenPath never sees your card number and never stores your card number in our database. Therefore, your sensitive bank information can never be stolen from our servers. CitizenPath complies with all important security and data protection standards and adheres with the Payment Card Industry Data Security Standard, or PCI DSS compliancy. These best practices are designed to protect you from data security breaches and fraud.